Roam the grounds of Hogwarts with Rubeus Hagrid and Harry Potter! This set of Vynl. stylized figures features the boy wizard and his first friend from the wizarding world. 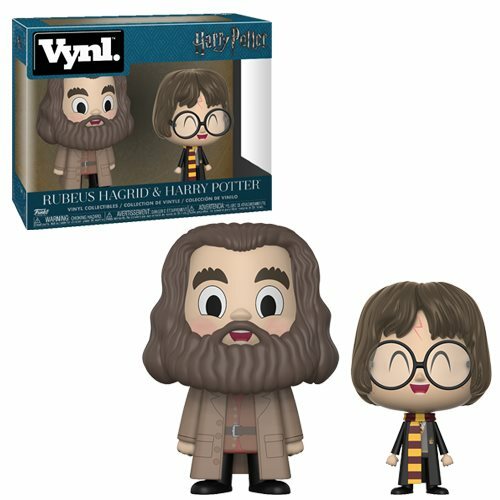 The Harry Potter and Hagrid Vynl. Figure 2-Pack comes packaged in a window display box and each figure measures approximately 3 3/4-inches tall.